Today I have the special honour of welcoming a dear friend and an excellent writer and blogger: D.G. Kaye is the author of Conflicted Hearts, Meno-What? A Memoir, Words We Carry, and Have Bags, Will Travel. 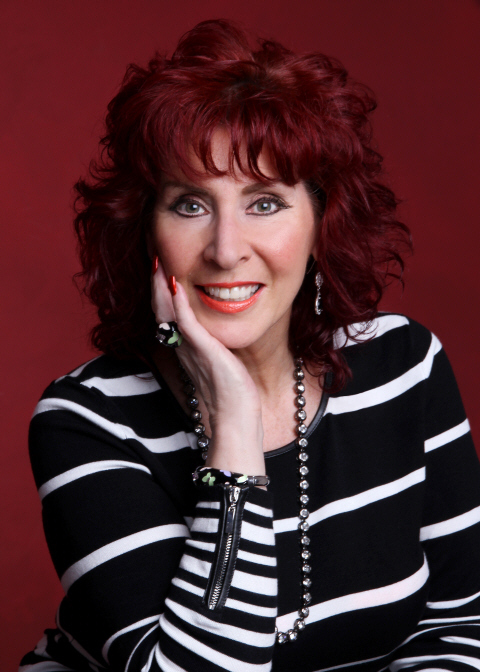 She is a nonfiction writer of memoirs about life experiences, matters of the heart and women’s issues. Thank you, Christoph, for inviting me here to your blog today. For those who don’t know me, I’m author and blogger D.G. Kaye. I’m a nonfiction/memoir writer. I write stories to share my sometimes funny, sometimes serious encounters I’ve had in different aspects of my life. With all my writing, my goal is to empower others with my stories whether the topic is growing up with a narcissistic mother, (Conflicted Hearts) building up a low self-esteem, (Words We Carry) getting through menopause with a touch of humor, (Menowhat? 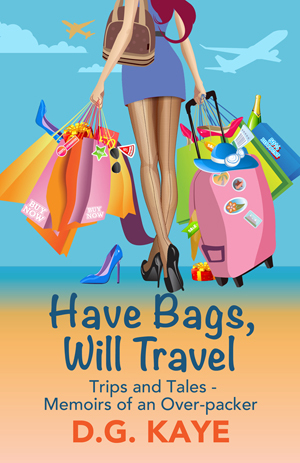 A Memoir) or sharing some crafty travel trips from some of my more memorable vacations, (Have Bags, Will Travel). I am also currently in re-writes with my latest book, a sequel to Conflicted Hearts, titled, P.S. I Forgive You. My blog, www.dgkayewriter.com is a place I like to share my thoughts on, share some real life incidents that are current in my life, and handy things I find useful for some of life’s dilemmas. I also enjoy sharing reviews of books I’ve read and enjoyed, and like to post articles about writing that I find interesting and helpful for other writers. I don’t blog on one particular subject, it really depends on what strikes me as interesting, and what I think my readers would appreciate reading about. When did you first have the idea for a blog, and when did you start blogging? I began blogging in spring of 2013. I was in the process of learning the self-publishing business and well into second draft on my first book. I wanted to begin building a platform and thought blogging would be fun. I, like many bloggers, wasn’t sure about where I wanted to go with my blog, but in time, I found myself wanting to help newer writers with helpful information on the self publishing journey. I had learned so much from fellow writers and friends I made along the way, and I wanted to give back in a small way to others. How did you come up with the title for your blog? When I first began blogging, I wasn’t yet published, so I wasn’t thinking ahead for the title. I used to write the odd post on “myspace”, (ancient I know, lol) and I wrote there as ‘Cubby’s Corner’. The name is a nickname given to me by my husband. So, with not much thought, I joined WordPress with the same name. A few months later, I wanted to own my own site for more control, and migrated over to WordPress.org. 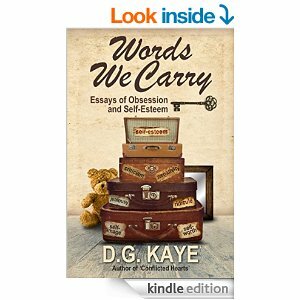 I took the opportunity to change the name to my author name, www.dgkayewriter.com. It just made sense. How did you attract the audience? I noticed that my following was growing after I began to establish myself more on social media platforms. I also started following several blogs which interested me, and through visiting those blogs, I came across other blogs by introduction of guest posts, etc. I also interact on those blogs, not just by ‘liking’ posts, but also by sharing them on various social platforms and leaving comments. I noticed that my comments had led to forming many wonderful friendships with fellow bloggers. Before I knew it, I was gaining many new followers from blogs I was reading, and from the articles I post on other social media platforms. Now I’ve made some wonderful friends, and each week, I’m still meeting new ones. It’s a wonderful snowball effect. When my posts resonated with others, they became regular readers, and many have read my books because they enjoy reading my posts. Which social media do you use to support your blog? I use several social platforms. Some are my standard go to because of the participation I have in them, and some I don’t visit enough. But I share all my posts and other blogger’s posts to Twitter, Facebook, Google, Linkedin, and Pinterest. I’m also on Stumbledupon and Instagram. I’d have to say that I’m very active on Twitter and Facebook, and I’d like to try to visit Linkedin more than I usually do. Naturally these are a lot of sites to manage and keep up with, and I find that each blogger and/or writer tends to favor some social sites more than others, so I choose to spend more time where I have the most interaction. Could you see yourself on a TV chat show, doing what you’re doing on your blog? I could definitely see me doing a chat show. Chat is what I do best, lol. I like to talk about inspiring things, helpful and handy tips on situations on life, and love to inspire and empower others. Certainly, there would be much to talk about. How much time do you spend blogging each day? That’s a loaded question. If you mean drafting blogs – that could take about an hour to two hours, depending if I’m writing from scratch, then drafting the blog post, and downloading photos, creating tags and hyper-links, etc. I don’t write posts every day. When a topic comes to mind, I jot it down in a notepad and write notes about what to include in the post when I’m ready to write it. I also love using ‘press this’ to for reblogging posts into draft in my dashboard. I try to save a few put together posts in draft to have ready for posting. If you’re asking about spending time reading blogs, the answer would be a lot, as in, a few hours nightly. This is something I haven’t been able to spend less time on. I follow so many blogs, and my inbox is full of posts on a daily basis. I try to read them for an hour or two nightly to keep up. Reading and commenting on blogs is a part time job, and one I don’t see how I can cut back on when I’m always interested in what’s going on in blogtown. Did you attend, and were you nominated in the Annual Blogger’s Bash? Yes, I was nominated for Best Dressed Blog. I was elated to be in such good company, and consequently, I came in third place. Because I live on the opposite side of the pond, here in Toronto, and due to some health issues my husband encountered these past few months, I wasn’t able to attend. But I was there in spirit, and watched videos, and got first hand stories from friends who did attend. And I’m hoping that if all is well, I will most definitely be attending next year. Great interview. I’m so glad to read that Debby spends hours reading and commenting on blogs. I sometimes feel guilty about how time I spend doing this so it makes me feel better than I’m not alone! Now that’s a thriving Thursday — two of my favorite people in one post! It’s always nice to read a little more about Debby. Thanks for hosting her, Christoph. Mega hugs to you both. HI Christoph. Thank you so much for inviting me here today. It’s always a treat to be featured on your esteemed pages. I’m also humbled when other readers offer to share on their pages. I will reblog this post later next week after I’ve saturated the blogosphere with being shared around town from others. Lovely to learn more about Debby. She is such a delight, a lovely lady, that I’m so happy to have found. I’m late to the interview but thank you, Christoph, for interviewing Debby, and thank you so much for the mention, Debby. Debby is one of the nicest people I have met here on WordPress and never fails to make me smile. If I had the chance to have dinner with anyone here on WordPress, Debby would be high up on that list. Couldn’t agree more. Debby is wonderful. Super guest blog, Debby. Thanks to Hugh for hosting. Debby and Christoph, I know how much effort it takes to build a platform on a blog and to keep the audience coming back. You are both great examples of how to do this. I, too, love the blogging world however I will be leaving it soon for a number of reasons, one of them being to have more time to pursue writing projects. However I plan to continue to follow some of my favourites, including yours. Wonderful Interview, and Debby has become a very good blogging friend since we met. And I do not know how she finds the time, but she always does.. And I greatly appreciate her writing skills and comments..
Love this post – love getting to read more about Debby. Thank you for the love mention too. AND I CAN’T TELL YOU HOW EXCITED READING ONE PARTICULAR LINE MADE ME. so much so I had to write in capitals! really really got everything crossed for next june.